Our Level III+ Lightweight plates are genetically similar to our standard level III+ plates, except we made them thinner and lighter! 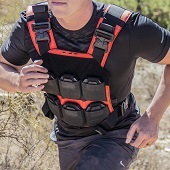 The result is an evolved form of steel body armor that is currently the lightest and highest rated ballistic steel core body armor on the market. It is not rated for AP rounds.